These little tasty morsels are so easy to make and taste so good! Perfect for after dinner with a coffee! Over low heat, melt the butter in a pan and add the sugar, stirring all the while. When the butter and sugar have melted, take the pan off the heat and add the powdered milk, coconut, vanilla and lemon juice mixing until well combined. Add a little water if you feel it is too dry. Form little balls, squeezing the mix so it sticks together and place an almond in the center. 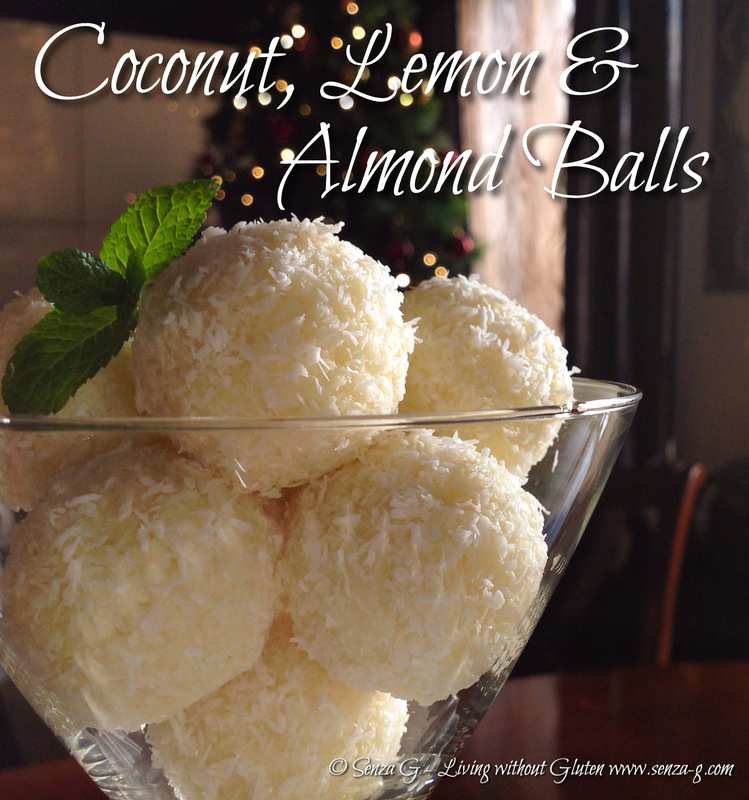 Put the extra coconut in a small bowl and roll each ball in the extra coconut. Place on a baking sheet and put in the fridge to set.